It's been two weeks since we returned from Maine. From a week of dyeing with plants, mending beloved clothes, drafting bespoke garments, stitching, knitting, gathering in community. 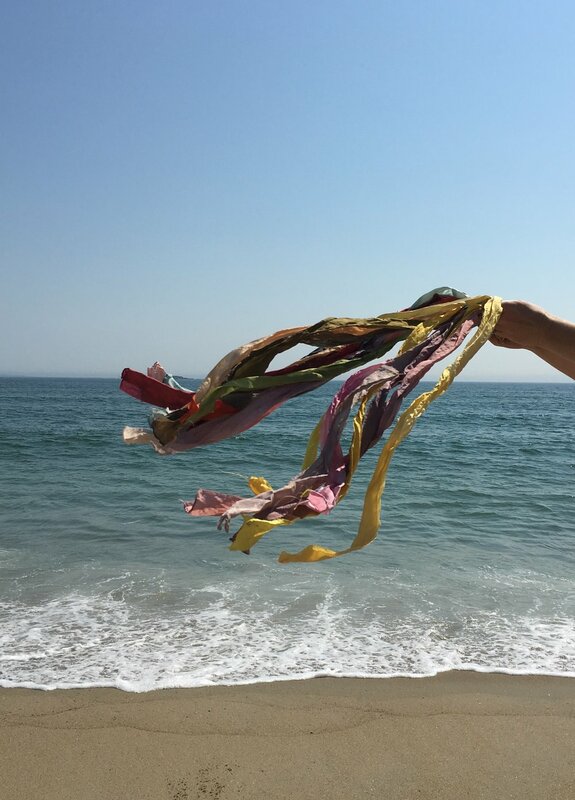 A week to convene around the slow fashion table - not just to make and to learn, but to share stories of passed on clothing, to meditate with the focused work of our hands, to rile up our spirits in the name of a slower, safer, kinder kind of clothes. 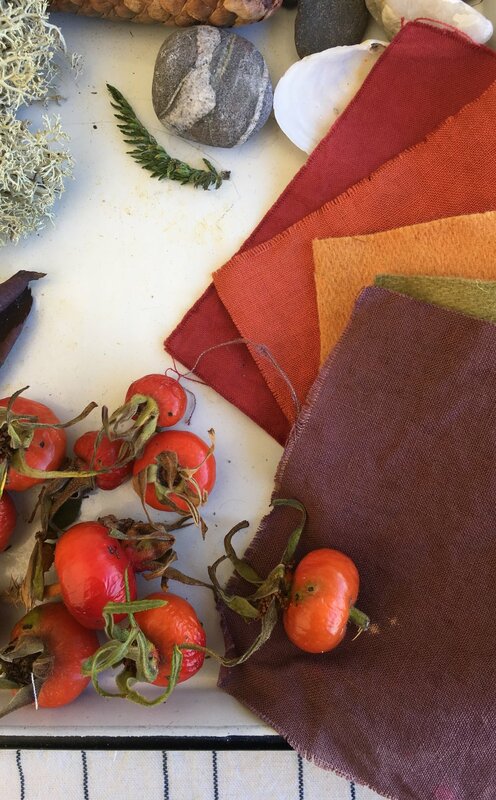 Dye guides, filled with tips for creating botanical color, hand bound with naturally dyed cotton thread. 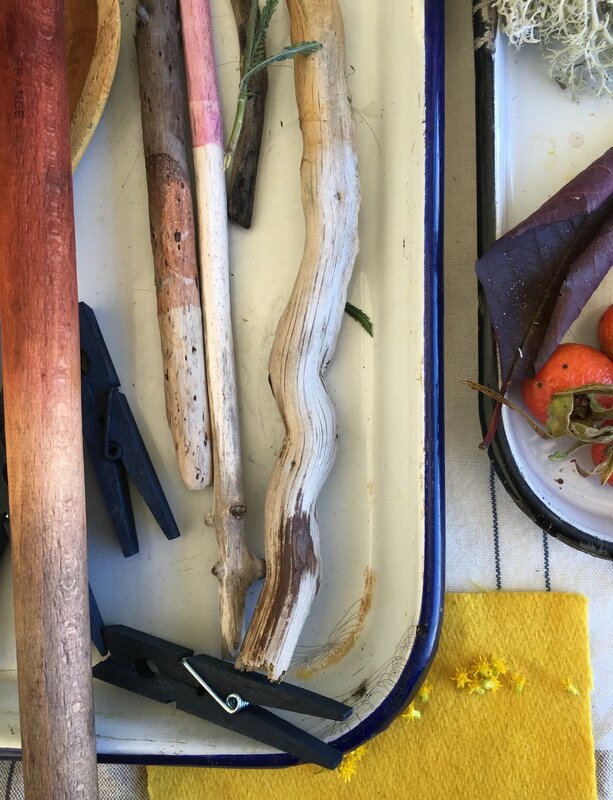 In the mornings we talked dyes - how to make them, which plants to use, how to make them stick. 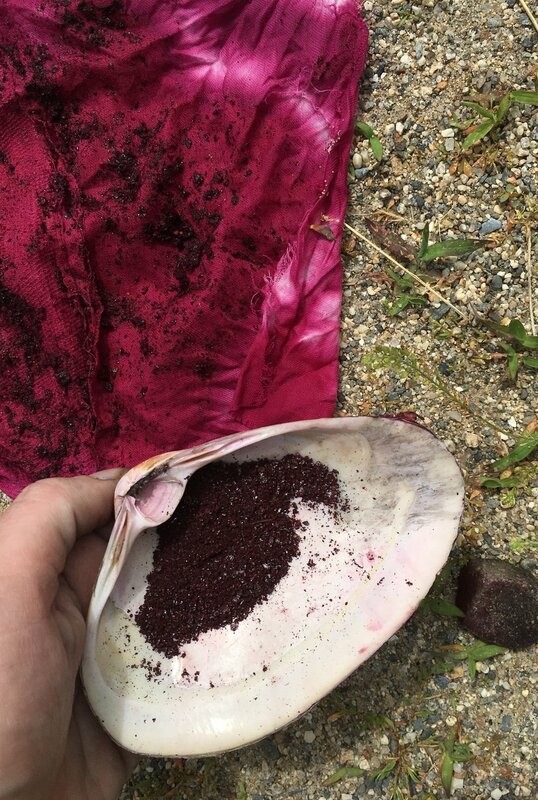 And also why it’s so special to wear a top dyed with onion skins you peeled when you made winter stock, that maybe you pulled from the garden the summer before, too. And how when we sleep on pillowcases dyed with indigo, our dreams come lighter and easier. 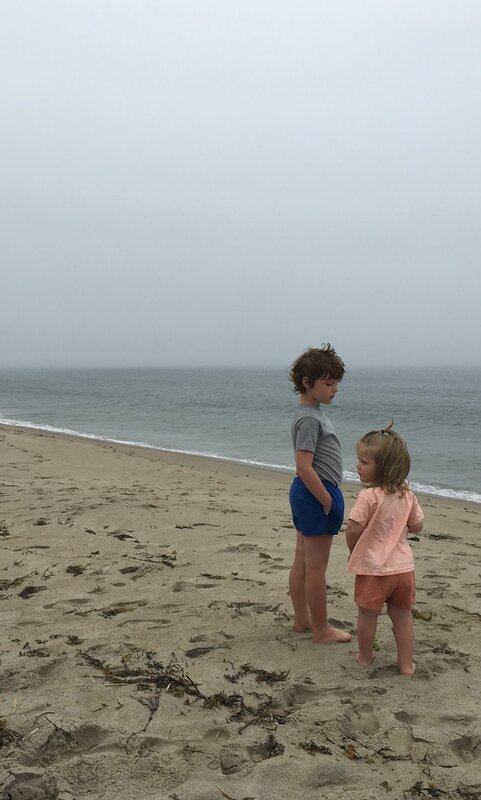 My boys, who soaked up the sand and the waves and had an ice cream cone every single day, just like they’d hoped to. A thrifted dress brought by a student; it began a grey beige and after turns in the avocado and the madder dye baths, became a luminescent cinnamon pink. Swatches from day one: onion skins with iron, quebracho rojo with iron, quebracho rojo, avocado, onions skins. In the afternoons we put our hands in the pots, turning fiber and watching the colors come to life. We used fresh and extracted roots and barks, skins, flowers, and leaves. The air was sea-scented, the waves a lilting accompaniment to our work. There was presence, laughter, connection, and kinship. My sand child, before breakfast, when we’d leave our room as quickly as possible not to miss a moment by the water. In the evenings there were quiet strolls, moonlit swims, quiet and fervent conversations both. Connection steeped in shared values, and wise calls to action. Amy’s important talk offering an outline, a place to start. A clothing swap in the name of passing along those things no longer worn enough to keep but worth seeking new life in a fresh closet. Gratitude seems a small word for so big a feeling. One of the very best parts of a week like this is coming home - coming home with a slightly adjusted eye, a full heart, inspired hands. In two weeks I’ve made three new garments and planned as many more. I’ve scribbled notes to remember color recipes, I’ve dreamed six more workshops I want to teach. It’s the coming together that brings it out, the moments of connecting to others through our making that connects us to ourselves. Grateful, on and on, to Samantha for organizing this beautiful retreat. To Cal, Katrina, and Katherine for bringing and sharing their gifts. And grateful for Erika, my friend and (co) teacher at the dye pots for boundless, endless inspiration.